Start the kids early on the basics of color theory! 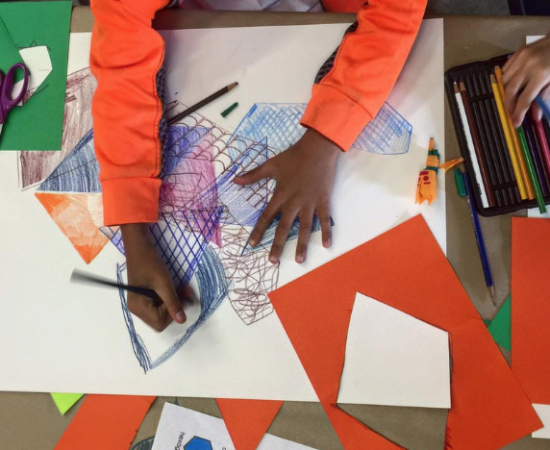 Campers will explore colors and how they interact with each other through paint, pastel, and collage. They will become familiar with the ideas of primary, complementary, and analogous colors by creating color wheels, integrating shapes, and playing with line. We will inquire about what certain colors mean–what they represent, how they make us feel, and how colors change when they are next to each other. Campers will also explore color blending and how to recreate the colors we see.